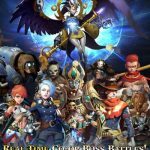 Phantom Chaser is an immense new action RPG full of dozens of collectible monsters, strategic combat, and fast-action PVP. You’ll gather and train mythical beasts, or Phantoms, to aid you on your adventures as you complete quests and explore dungeons. Training a team of Phantoms is no easy feat, so we’ve gathered a few helpful beginner’s tips to get you on your way. Your Phantom Chaser team will consist of six Phantoms, three of which are Mimics. Use these mimics to possess your other three Phantoms, granting them stat bonuses and new abilities that they wouldn’t have otherwise. You can use these Mimics to strengthen weaker Phantoms or utilize clever strategies in battle. You should definitely practice playing with Mimics early on. Strength: These Phantoms have high HP and defense, making them great tanks or frontline melee units. Dexterity: Dexterity Phantoms dole out huge amounts of damage, but are a bit squishier than Strength Phantoms thanks to their relatively low HP. Intelligence: This type actually has two sub-types. Intelligence support Phantoms have buff and HP recovery abilities. Damage Phantoms deal lots of damage just like your traditional Black Mage in other fantasy RPGs. This means that a Strength type Phantom will do more damage to a Dexterity type, while a Dexterity type might have trouble chipping away at a Strength Phantom. Knowing your team’s strengths and weaknesses is crucial to your survival in a tough fight. 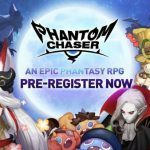 You’ll get Phantoms just by playing through the game’s story or by drawing Summon Tickets, but crafting offers another path to your favorite Phantom. Gather crafting materials by competing in the Battlefield dungeon areas, and you can easily create your own Phantoms from scratch. Once your Phantom hits level 20 (and every 20 levels beyond that), you can’t level up any higher until you complete an Upgrade, so don’t forget to go through this important process. You’ll need Upgrade Stones and Dimensional Crystals to successfully upgrade, and the required number of these materials is dependent on your Phantom’s level. Save them every time you find one, because you’re really going to need them. 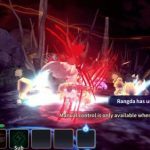 The official level cap is technically 100, though there are ways to get your Phantom well past that thanks to the Transcend system. To Transcend, you’ll need an extra copy of the Phantom you want to transcend. If your extra Phantom is a 3-star, it’ll increase your level cap by 10 levels. If it’s a 4-star Phantom, it will increase the level cap by 20. Once your Phantom reaches level 200, you’ll have the option to evolve them using the Spirit of Evolution item. It’s super important that you evolve your Phantom where you can, as your Phantom will receive not only a new appearance, but ultra-powerful abilities and stats. When your Phantom evolves, it will start over at level one, but will become a 5-star Phantom. 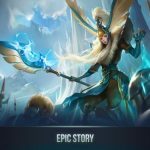 You’ll be rewarded with many items over the course of your adventures, be it in Story Mode, Arena, or the Battlefield. Some items are more valuable than others, so if you’re wondering what you should keep, refer to the list below. You’ll want to stash away items that can help with Phantom upgrades and Evolving in particular. Upgrade Stone: stone necessary for completing the Upgrade ritual. Spirit of Evolution: required item for Phantom evolution. Doll of Void: material required for crafting Puppet of Void. Spirit Core: material for crafting Puppet of Void and Spirit of Evolution. Memory of Phantom: valuable material used for crafting new Phantoms. Dimensional Crystal: additional item necessary for the Upgrade process.